Ten years ago, rumblings of a financial crisis had begun to boil. The darkest days were still ahead. Bear Stearns, AIG Financial Products, Lehman Brothers, Countrywide, and Washington Mutual continued to stoke the mortgage-products machinery of mortgages, mortgage securities, and mortgage derivatives. Although erratically, many were still making money. There were hints of the nightmare that would overtake 2008-09. 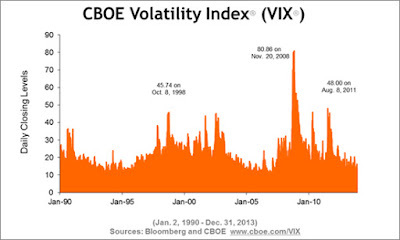 In 2007, there had been unexplained standstills in certain credit markets. Short-term debt almost ground to a halt. Financial institutions, all of a sudden, couldn't roll over short-term funding or commercial paper. Many thought markets would eventually correct themselves, one-time losses would revert to profits, and small, insignificant players would disappear quietly without impact. The financial system in 2007 would resolve these uncertainties and tolerable mortgage losses as 2008 approached. After a mid-2007 collapse of an obscure Bear Stearns mortgage fund, market players would get over it. Ten years later, we know what happened in 2008. And in 2009-10. We know who disappeared, who collapsed, who was forced to be acquired, and who threatened to put the global financial system on its knees. And today we recoil over the memory of a Great Recession, billions in losses, mortgage penalties and fines, and the avalanche of regulation that followed. New regulation was supposed to present solutions to avert or soften the blow of the next crisis. 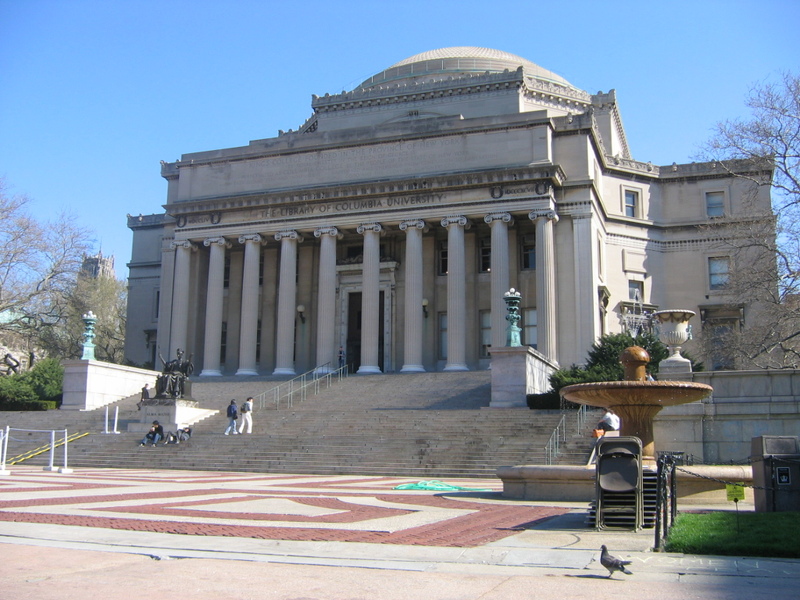 Columbia University, in early Dec., 2017, held a "Ten Years After" banking and finance conference on campus and invited industry leaders, bankers, academics, regulators, and long-ago participants to review what happened and decide whether industry solutions are appropriate. Conference participants were tasked to try to predict when the next crisis along similar scales will occur and what will be the financial product or circumstance that triggers it. The guest list of panelists and speakers included Nobel laureate economics professor Joseph Stiglitz and former U.S. Congressman Barney Frank--yes, the Frank, as in Dodd-Frank legislation, for whom vast amounts of post-crisis bank regulation is named. Former U.S. Treasury Secretary Jacob Lew appeared, as well as Columbia Law professor John Coffee, Jr., Columbia Business School dean Glenn Hubbard, and Stephen Cutler, JPMorgan Chase's chief legal officer during the years of the crisis and thereafter. Standard Chartered Bank CEO Bill Winters, who spent the crisis years as an Investment Bank head at JPMorgan, piped in via teleconference and proved his in-depth familiarity with the minutiae of bank regulation and its impact on banks like the one he runs. Other academics (in business, economics, and law) also weighed in, sharing summaries of research they've conducted and papers they've written that explain what went wrong, why it went wrong, and why things may go wrong again. Because the format permitted panel discussion and audience participation, the banter was formal and informal, lively and freeform. Congressman Frank sparred with JPMorgan's Cutler, as they debated heartily on whether bank regulation today is suffocating, complex, and stifling or is inadequate and insufficient. There were other highlights from two-day sequence of presentations of analysis of what happened and speculation of what market phenomenon around the corner will start the next crisis. The Volcker Rule, the prohibition of proprietary trading at U.S. banks, was vetted often. Will it be tweaked, changed, updated, or simply reaffirmed? U.S. banks say they are disadvantaged. Winters in London said European banks suffer in some ways, too, because they are on the "receiving end" in not being able to trade reliably with U.S. banks, who can only rationalize some trading activity if it's tied to customer flow. Many who are now accustomed to the rule's restrictions on trading say they just wish it were less complex, more simplified. Proving to the Federal Reserve that a securities or derivatives trade was done for the benefit of an institutional client is one of the most difficult tasks big banks face today. Basel III is the governing regulation by which financial systems and governments around the world choose to abide. Dodd-Frank legislation in the U.S. legitimizes Basel III in the U.S. and then, of course, tightens up many of the requirements and offers an array of other rules (like Volcker and periodic stress tests). Has Basel III worked, does it continue to work, and where do we go from here? Panelists pondered next steps, discussed, debated and offered data and research. A Basel IV is inevitable, the next step in bank supervisors trying to fend off the unforeseeable or trying desperately to ensure banks are prepared for the next round of financial turmoil. Basel IV might also be, as Winters suggested, efforts to "roll back" to more consistent methods of calculating capital requirements or simplify the models big banks must use. Panelists preferred to focus instead on Bitcoin technology, Blockchain distributed ledger technology. Many banks, while dismissing the euphoria of surging Bitcoin prices, have embraced the technology--its transparency, its record-keeping, its ability to process and confirm transaction without days of delay by a central intermediary. Over time, it can and will work in securities processing, trade settlement, funds settlement, and other bank operations activity. In his point-counterpoint with Frank, JPMorgan's Cutler highlighted the complexities of big banks seeking to comply with a thousand pages of Dodd-Frank rules, some in place, some still to come. He said JPMorgan responds to seven different regulators in operating a mortgage business. In the aftermath of its "London Whale" trading loss (where its investment office lost over $4 billion trading credit-default swaps), Cutler said JPMorgan had to respond to five or six different regulatory enforcement arms, each independent from the other. However, big banks themselves are frustratingly complicated, too. Their organization charts are large, wieldy, interconnected, and difficult to comprehend--a messy maze. A panelist showed that the "GSIBs" (Globally systemically important banks, as identified by central banks) average over $1.6 trillion in assets and each manage over 1,400 subsidiaries. Dodd-Frank's "Living Wills Rule" (Recovery and Resolution Plan) requires banks must show how those countless subsidiaries would unwind net assets and businesses in a stress scenario or liquidation. JPMorgan's Cutler admitted the exercise pushes banks to rationalize some of those subsidiaries. At JPMorgan, there are only about 50 subsidiaries "that matter," he said. Frank agreed in the U.S., there ought to be some consolidation of regulatory bodies. Why do both the SEC and CFTC exist? Why are they separate? Why can't they consolidate? Understanding how inertia overtakes the U.S. Congress, Frank explained how East Coast-West Coast Congressional interests are wedded to the SEC, while "fly over" agricultural interests are tied to the CFTC. A bill to merge the two is not likely in the works. Across the board, with Frank in the room, the consensus was Dodd-Frank in the U.S. won't be abolished. It will likely be smoothed over a bit. For example, rules will likely be relaxed for smaller banks, who shouldn't be subject to convoluted rules related to stress testing, liquidity coverage, and financial modeling. And perhaps there will be an easing of rules for regional banks and custody banks. Mid-size banks already have enough on their hands in managing anti-money laundering, "Know Your Customer" rules, and the Patriot Act. Law professor Coffee was insistent the next blind side could be related to incentive compensation, the giant bonuses big banks paid top bankers during the crisis and in the 10 years since. He presented data, trends and arguments to show that banks, for the most part, have dismissed what Dodd-Frank attempted to regulate in bonus payouts. Coffee worries about systemic risk and banks and supervisors' capability of managing this risk. He said the interests and objectives of bank shareholders are not in sync with supervisors' objectives to manage systemic risks. Coffee's Law School colleague Mark Roe presented an analysis of the current U.S. tax-law proposal. What impact will a planned reduction in corporate tax rates (from 35% to 20%) have on banks? Roe's study estimates banks will have 3% more equity capital, suggesting banks will be that much better capitalized to absorb risks (if a new crisis unfurls). He didn't address the likelihood, however, that banks would just as eagerly pay that "extra capital" out in higher dividends or stock buybacks (catering to stockholders' interests). Roe contemplates financial engineers will step in to introduce ways to respond to new tax rates and tax rules in the way of new derivatives or securitizations. Count on it. While the crisis of 10 years back has been sliced, diced, reinterpreted, and analyzed to points of exhaustion, no panelist pinpoints when, where and why the next crisis will occur. Not many bothered to guess. But most agree bank regulation, as complex and difficult as it is, might help banks be better prepared.